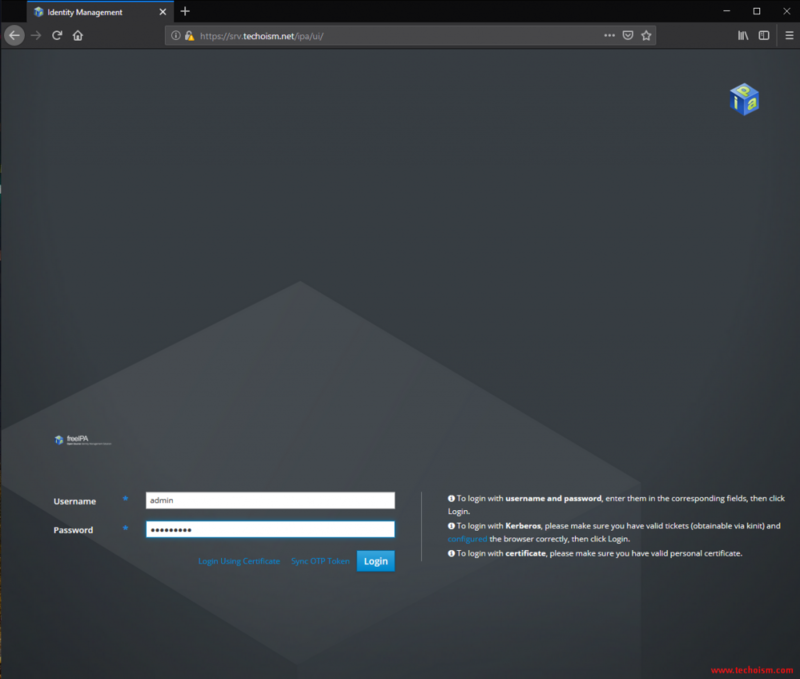 FreeIPA is a free and open source identity management tool and project has been sponsored by Red Hat. FreeIPA manage Linux servers and authenticate, like Microsoft Active Directory and LDAP. In other words you can manage user accounts on Linux system using FreeIPA. Identity Management made easy for the Linux administrator. FreeIPA also provides the services like DNS and PKI. 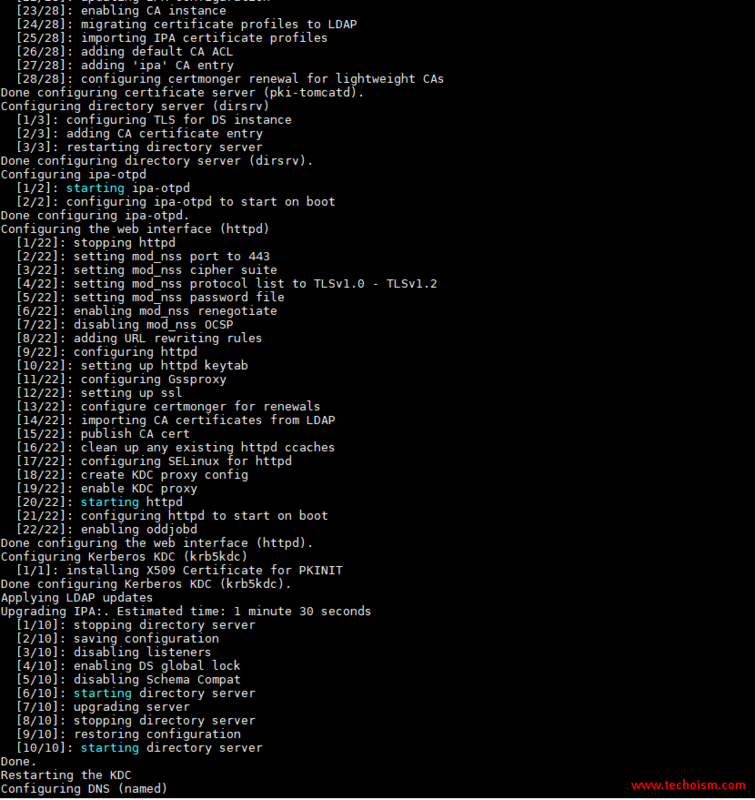 Installation of FreeIPA is simple on a Linux system. But, before starting installation of FreeIPA we need to prepare the server for installation. First set the FQDN hostname of the server. 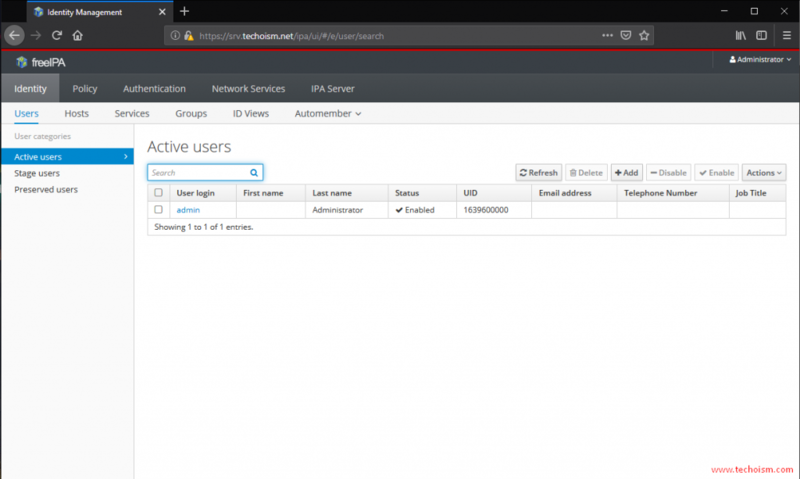 Add a host entry on the server to resolve system hostname. 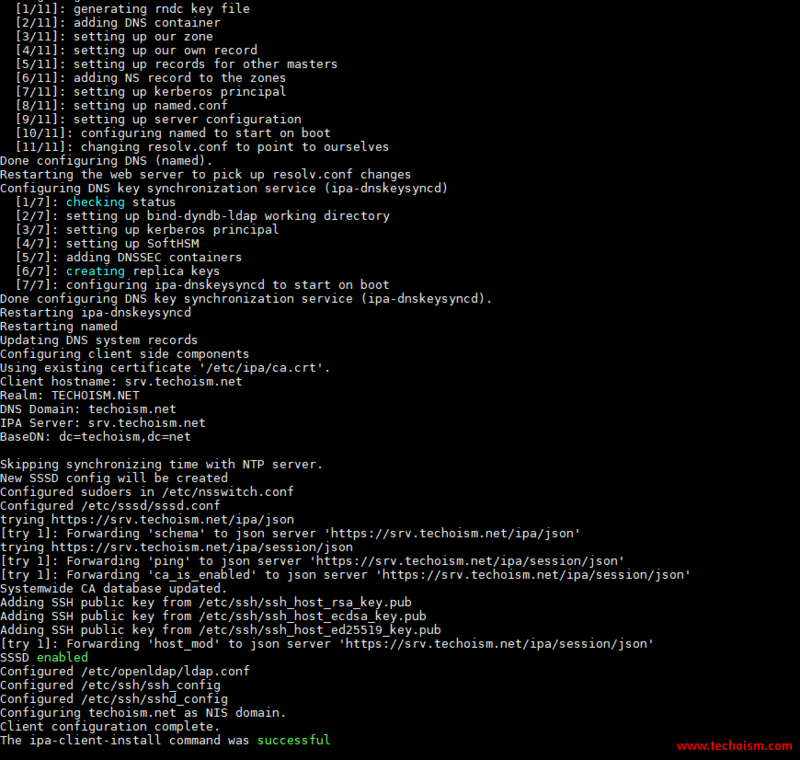 Once the packages has been installed use mention command to setup the FreeIPA on server. It will prompt couple of things to configure FreeIPA like DNS, Host name, Domain Name and Realm Name. It will take some time to configure your FreeIPA server and once it has been setup successfully then we will get output something like below. 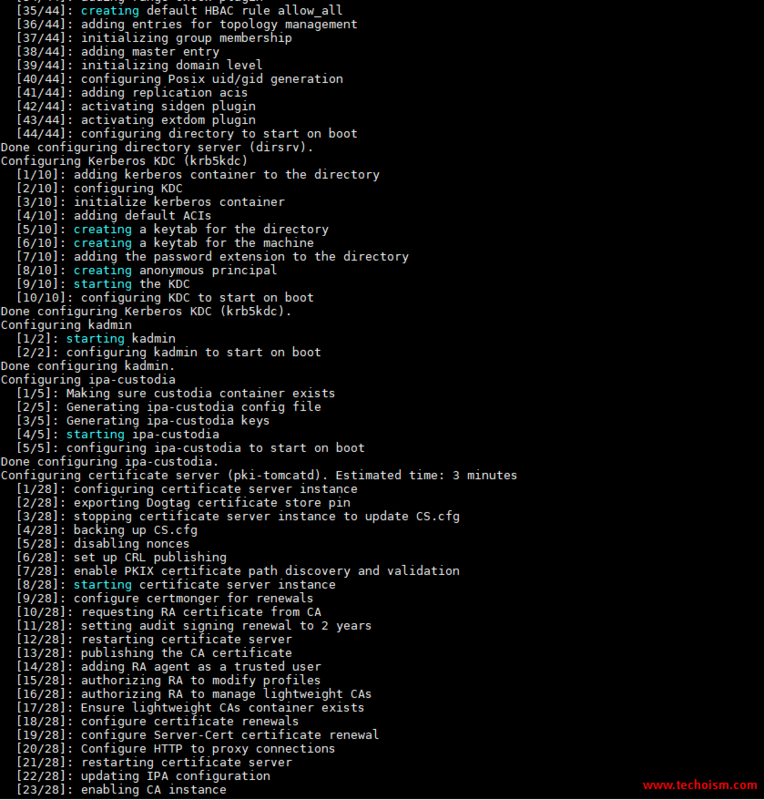 Note: Sometime you will get the below errors while installing FreeIPA on CentOS 7 server. This is very known issue so to resolve this restart dbus service. Uninstall FreeIPA using the mention command and then again try to install. Run the below command to allow User’s home directory creation automatically after login. If you have firewall service running on server, you need to Open some required ports for FreeIPA services. Use the below command to check whether all services of FreeIPA are running or not. Verify that the Kerberos realm installed correctly by attempting to initialize a Kerberos token for the admin user. Now you can access the FreeIPA using accessing below URL. Now you are successfully accessed the FreeIPA.